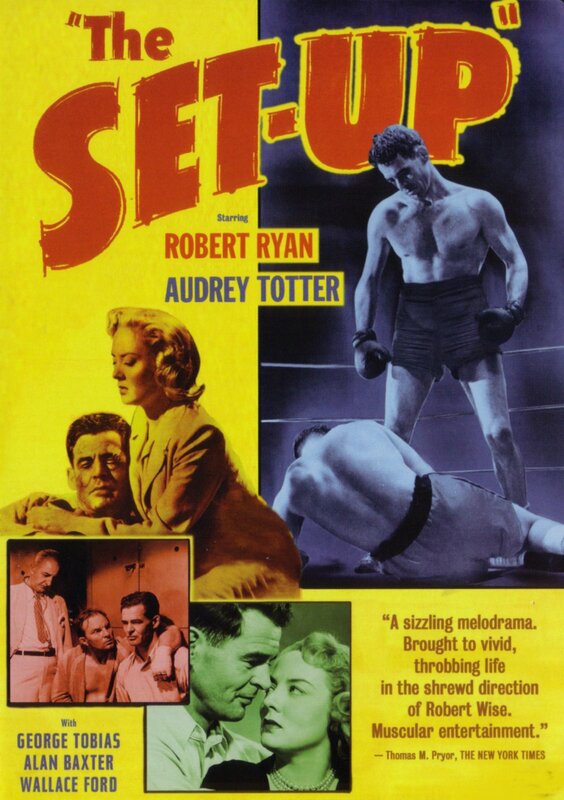 Now Playing at the @IFCCenter: THE SET-UP (1949). In this movie, Robert Ryan plays Stoker, an over-the-hill boxer who discovers that he’s expected to take a dive by a powerful gangster. He’s a loser several times over, but he’s not about to lose for lack of trying – but there’s a price to standing up against the underworld. That price is apparent through the pummeling Ryan takes throughout the movie. Ryan was seldom better cast – imposing enough to be credible as a professional boxer, but wearing his heart on his sleeve, lacking of the drive and the viciousness of the most successful of punch-drunk champions. The soul is in his eyes; the fists only secondary implements by contrast. An essential Robert Ryan performance for longtime fans and soon-to-be fans of one of the most fascinating, thoughtful, and under-acknowledged of old-Hollywood film stars. Please read this excellent essay on the film over at Screen Slate today. THE SET-UP plays at 5pm this evening at the IFC Center in New York City. It isn’t on Blu-Ray yet but you can still find it on the DVD format. A Tribute: ROBERT RYAN (1909 – 1973). When you get in a habit of writing about movies and their makers, you get in a secondary habit of writing memorial pieces to the dearly departed. Looking back doesn’t have to be a melancholy process; it can also be an occasion to celebrate favorite film presences who always deserve the attention. 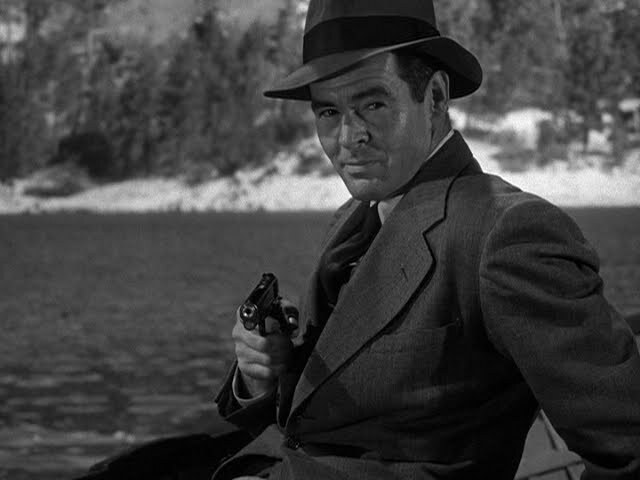 Today, November 11th, is Robert Ryan’s birthday. If you don’t know who he is, I’m about to help you with that. Robert Ryan is one of the great unsung movie stars of the past century. 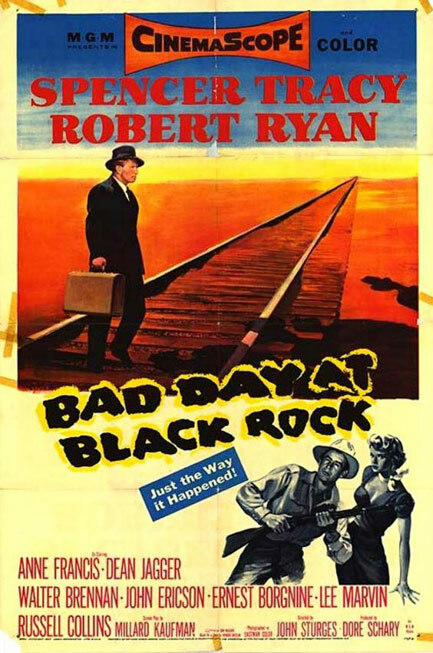 While it’s certainly fair to classify Robert Ryan as “unsung”, it may not be entirely accurate to generalize him as a movie star – while he had the occasional lead role and his headshot lines the walls of the Formosa alongside much more famous names, Ryan was more often a supporting player, a character actor, and very often, a heavy. It’s somewhat fitting that today is Veteran’s Day, as Ryan served in the United States Marine Corps as a drill instructor during World War II. 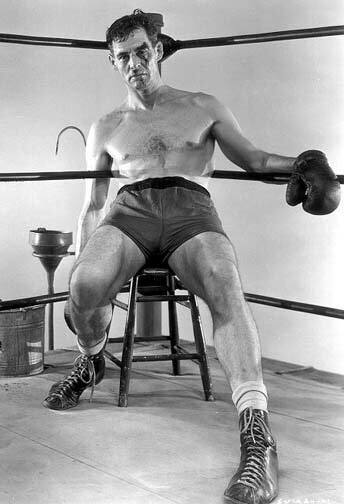 He was also a boxer, a ranch hand, and an attempted playwright. 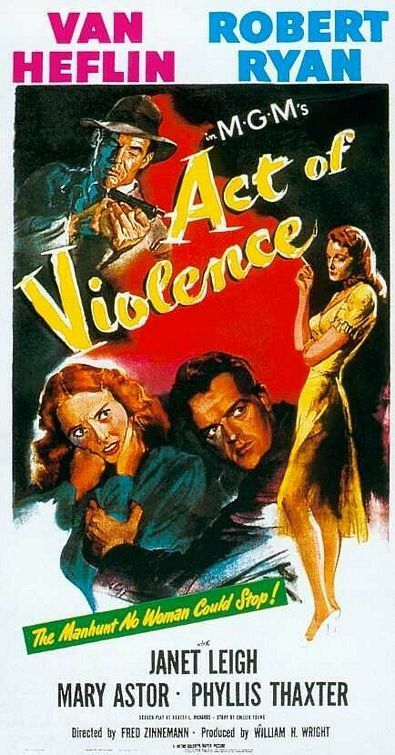 When he entered movies as a contract player at [initially] RKO Pictures, film noir was the name of the game, and Ryan was a perfect, if unlikely, fit for the genre. He was equally adept at playing cops and killers, and so he did, for the majority of his career (sometimes even playing both at once). As he started looking older, he started getting cast more often as generals and men out of step with changing times. Never could he have been cast as an out-and-out weakling, but very rarely was he allowed to play a thoroughly decent man either. 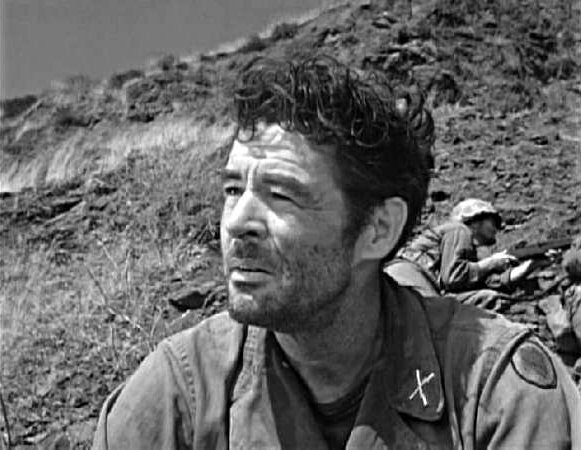 I suggested that Robert Ryan was an unlikely fit for the dozens of tough-guy roles he played because he was in real life a pacifist and a prominent civil rights activist. 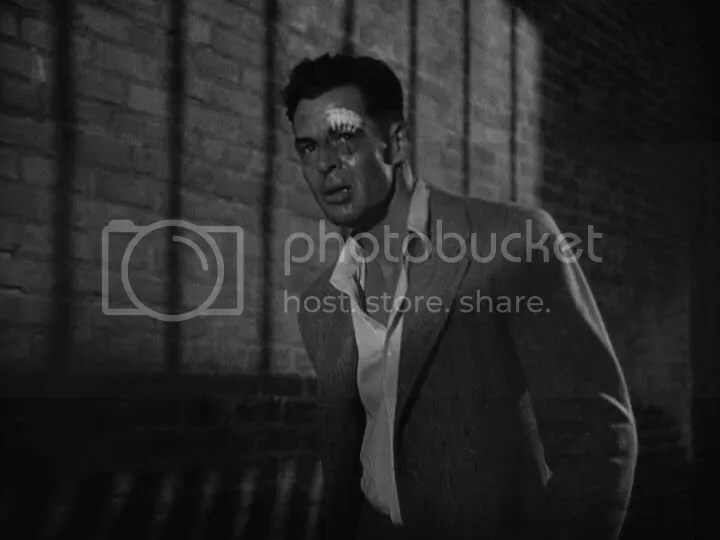 More than that, though, all you have to do is look at a still photograph of Robert Ryan to wonder how he ever got pigeonholed as a tough guy. He had the heavyweight boxer’s frame and the dark brow of a tough guy, and clearly the integrity and the talent, but there is a kindness and an obvious sensitivity in his eyes that cannot be missed. Maybe it’s that dichotomy that was so endlessly fascinating to directors and casting agents. He looks immediately like a good guy; maybe that’s why it was so shocking and effective when he played against that initial impression. 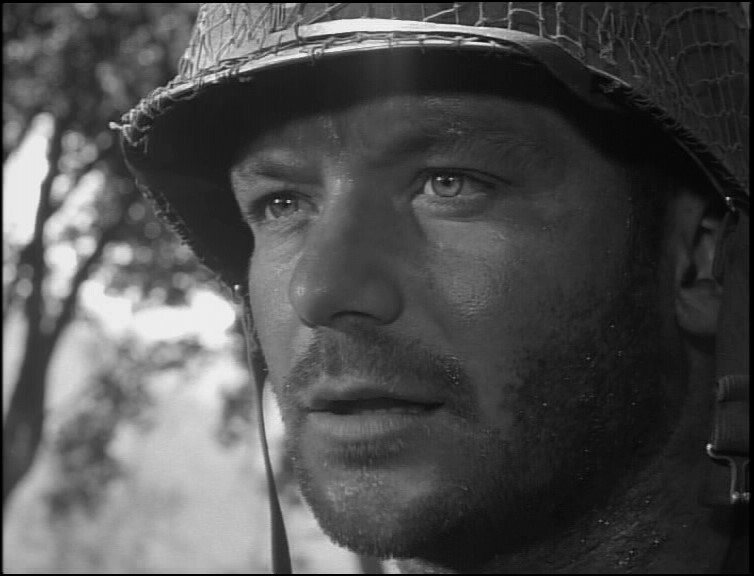 That conflicted image is still potent and alive and born out by his many performances if you watch them today. 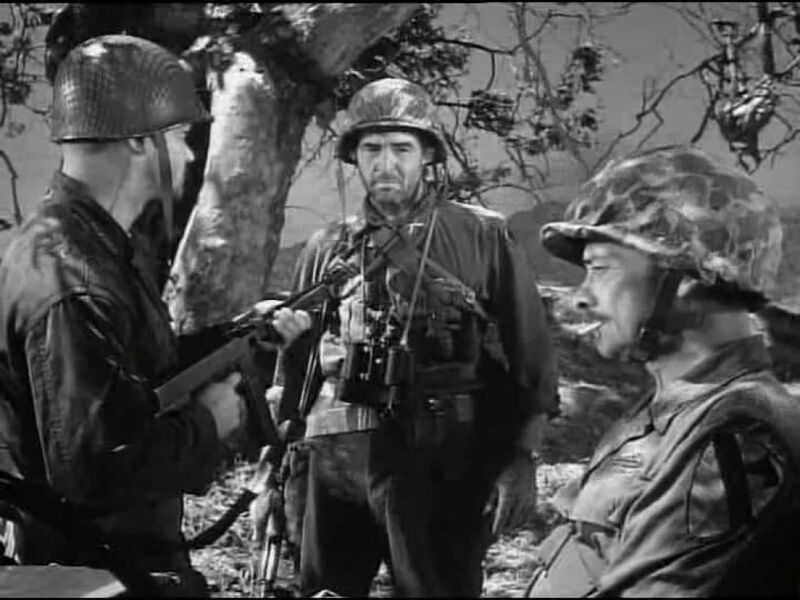 In this movie, Robert Ryan plays one of a group of American soldiers released home from the military. One of them apparently killed another man, and Robert Mitchum and Robert Young play the investigating officers in the case. The motive turns out to have been anti-Semitism, and the guilty man turns out to be Ryan’s character. It’s a testament to his frightening talent that it’s not immediately apparent that Ryan is playing a hateful murderer, and that he’s never quite entirely, one-sidedly, despicable either. 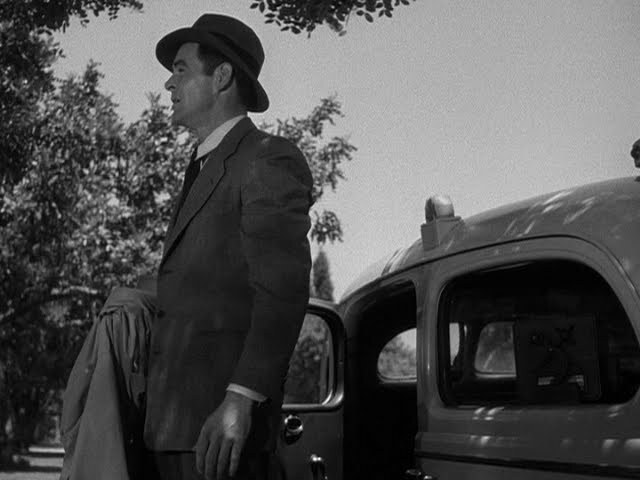 The horrifying thing about racists is that they begin as people, before hatred twists them into the demons they are, and Robert Ryan resolutely illustrates this idea in this movie. Also, in a movie with a surplus of ‘Robert’s, including the venerable Mitchum, he stands out as the most memorable. This is a quietly astounding movie, one which is not as well-remembered as it could be. 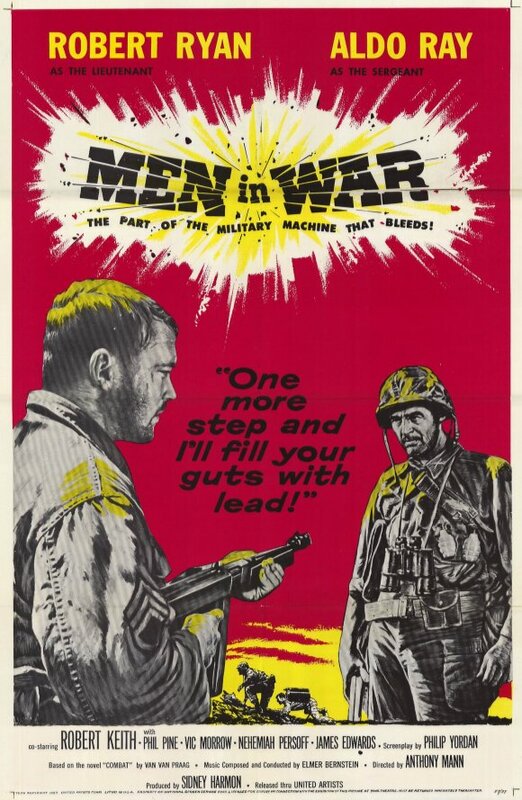 Directed by Fred Zinnemann (who also made High Noon and From Here To Eternity), Robert Ryan plays a crippled POW who returns to plague a local war hero, played by Van Heflin (from Shane), and his young wife, played by Janet Leigh (of Psycho fame). Ryan is so furious in his pursuit that Heflin, in desperation, turns to some shady characters for protection. Why is Ryan’s character so intent on wreaking vengeance on such an all-American hero (and his former friend)? 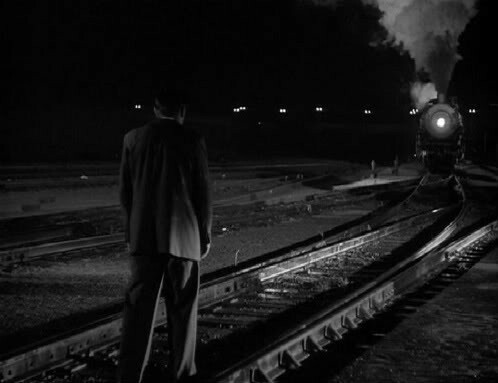 The answer to that question is truly surprising – it’s one of the great morality plays of the film noir era. In Act Of Violence, Ryan literally appears from shadows; he’s intense, and scary, and ultimately, entirely within comprehension, as the kind of tormented figure that can emerge from wartime. 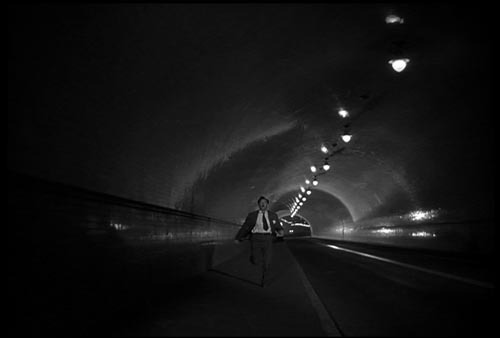 The Set-Up is another film noir, this one directed by the versatile Robert Wise. 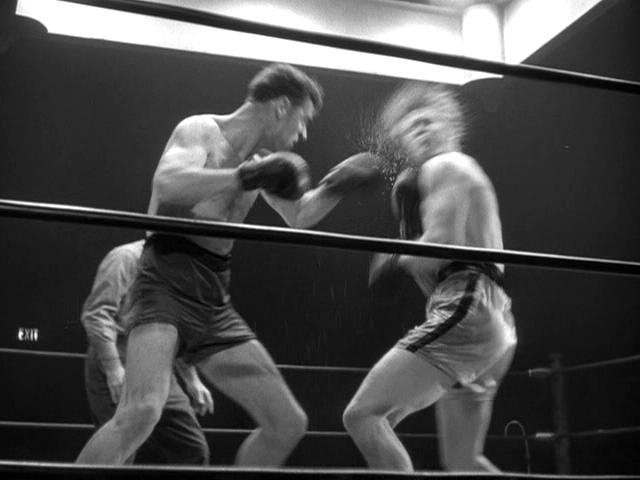 Though shot in film noir tradition with film noir themes of steep odds and tragic heroism, The Set-Up is primarily a sterling example of a boxing picture, and it is a widely-acknowledged inspiration for Martin Scorsese while shooting Raging Bull. (I guarantee you that Quentin Tarantino saw it too, when considering Bruce Willis’ storyline in Pulp Fiction.) In this movie, Robert Ryan plays an over-the-hill boxer who discovers that he’s expected to take a dive by a powerful gangster. He’s a loser several times over, but he’s not about to lose for lack of trying – but there’s a price to standing up against the underworld. That price is apparent through the pummeling Ryan takes throughout the movie. He was seldom better cast – imposing enough to be credible as a professional boxer, but at heart, lacking of the drive and the viciousness of the most successful champions. He’s too down-to-earth, too human for that. Essential Robert Ryan. 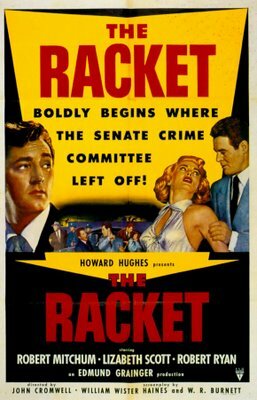 Another film noir, The Racket was actually a remake of an earlier, Howard Hughes produced, Academy Award nominated film. Just goes to show that remakes aren’t always a terrible thing. The Racket is a fairly straightforward story of an incorruptible cop who goes up against an otherwise unstoppable crime boss. 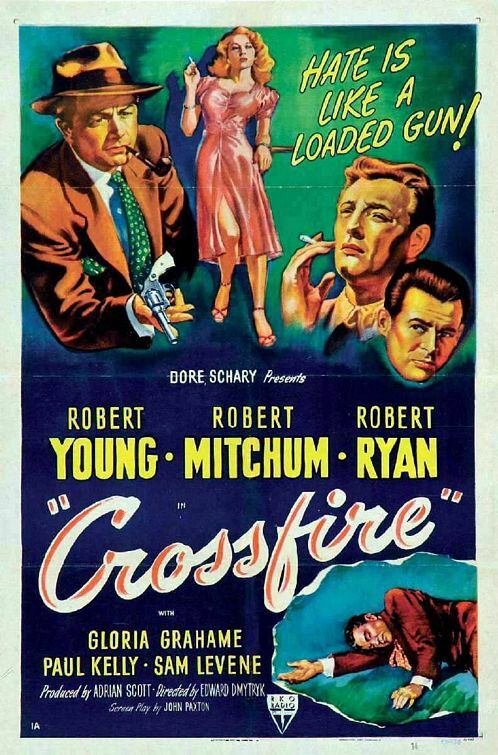 It’s a story at least as old as cinema itself, but one thing that distinguishes it — besides the classic tough-guy dialogue — is the casting of Roberts Mitchum and Ryan, reteamed from Crossfire, as the two polar opposites. Guess who plays who? Actually, maybe it’s not necessarily that obvious. Both stars had a tremendous capacity for menace as well as embattled decency, but in this case Mitchum is the cop and Ryan is the crook. The Racket is a solid B-picture, maybe not as transcendent as some others of the same vintage, but for certain fans of studio-era crime movies, this could be considered the Heat of its day. For his role in this movie, I put Robert Ryan on my list of the top twenty movie villains of all time. Already well-practiced at threatening Janet Leigh on screen (as in Act Of Violence), Ryan also gives Jimmy Stewart a run for his money in The Naked Spur, the third of the batch of five dark-themed Westerns that Stewart made with director Anthony Mann. Those who only know Jimmy Stewart from the perception of the idealistic and square persona that he is believed to have embodied in several Frank Capra films (a perception that isn’t entirely accurate to begin with) would be surprised to see Stewart in the films he made with Mann (and in Hitchcock’s Vertigo, for that matter) – Stewart plays a desperate, stern man who is determined to bring a notorious killer to justice, dead or alive. Ryan plays the killer, of course, but this time without his usual shades of gray. In this movie, he’s a schemer who thrives on the discord and chaos that he creates; pretty unrepentant. 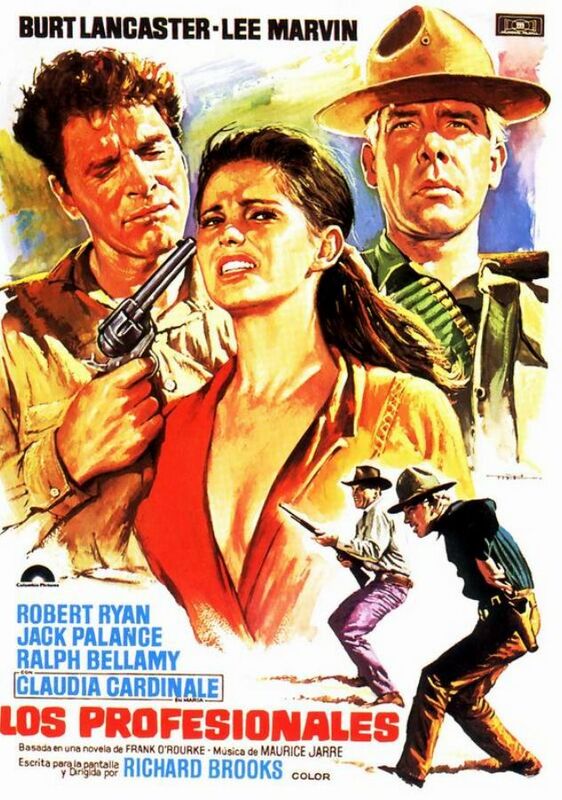 If this were the only movie one ever saw Robert Ryan in, one might despise him on sight, so good is his performance. I’m being somewhat flippant about this John Sturges classic, which is a comparatively-lesser-known great American film of the 1950s – both a solid thriller and a significant political statement. It’s just that so much has been written about Bad Day At Black Rock already, that it’s hard to add much besides additional praise. Paul Thomas Anderson is just one of many contemporary directors who have cited this movie as a formative influence; I wonder how many contemporary onscreen bad guys have studied Robert Ryan’s performance in it! 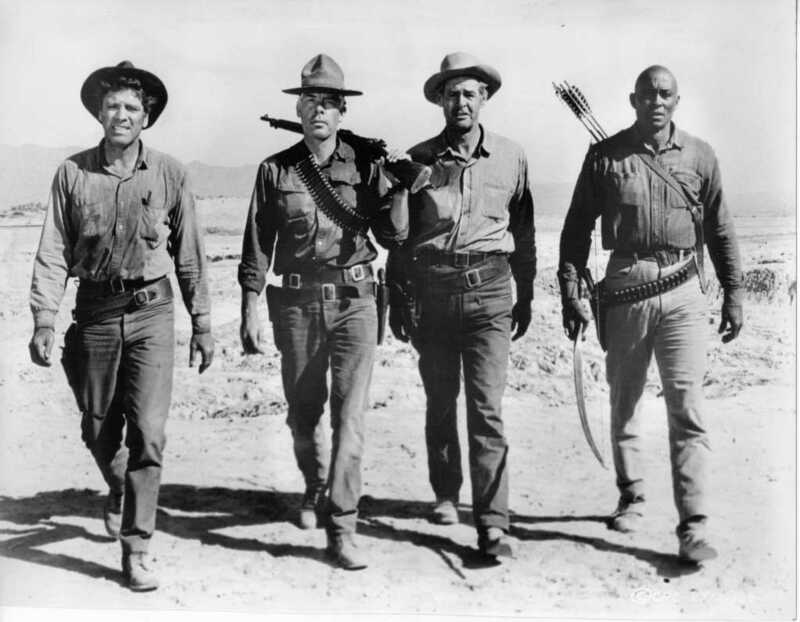 Ten years later, Ryan’s friend Lee Marvin was a big movie star, and he, along with the eternally great Woody Strode, played supporting roles to Marvin and Burt Lancaster in The Professionals. This is kind of an all-star super-team of old-school movie tough guys, the four of whom are hired by railroad tycoon Ralph Bellamy (you know him best from a weirdly similar role in Trading Places) to rescue his young wife from a marauding revolutionary who has taken her south of the border. In the great Hollywood tradition of casting great stars in ethnically incongruous roles, Jack Palance plays the revolutionary, “Jesus Raza,” and the Italian bombshell Claudia Cardinale plays the Mexican-born “Maria,” an old flame of Raza’s, as it turns out. 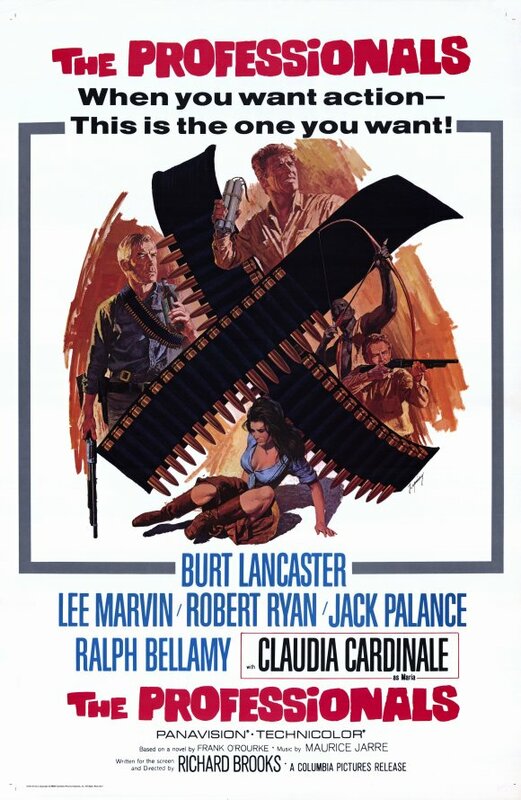 The Professionals is a great big-screen action classic with some fascinating sociopolitical subtext, but as an item of interest for Robert Ryan completists, it’s more of a fun sidebar than a necessity. 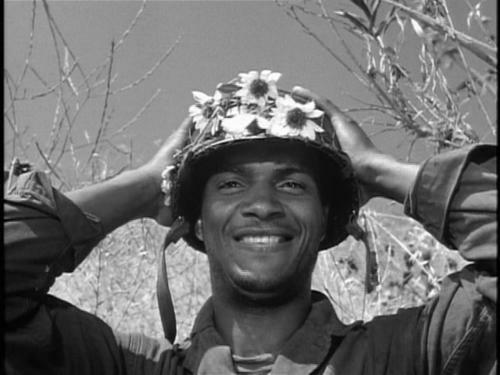 He and Woody Strode, as the horse wrangler and the team scout, are really playing strong support to the buddy-movie pairing of Marvin and Lancaster. Ryan does play an interesting contrast to his frequent persona, though. This is one of his most thoroughly decent roles – Ryan’s horse expert is tender and protective of every horse the group encounters. He’s one of those guys who seems to care more about animals than people, and who can blame him, in a movie where one species is clearly more consistently trustworthy than the other. What can I tell you about The Dirty Dozen that you don’t already know? Hopefully, not much. 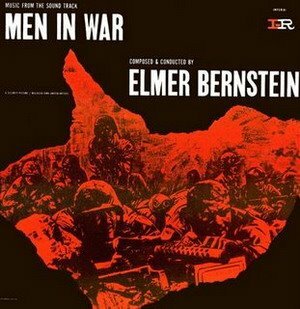 This is a man’s-man’s classic, featuring some of the screen’s toughest tough guys in a story of an elite squad of criminals and killers who are recruited by Lee Marvin himself to fight the Nazis. 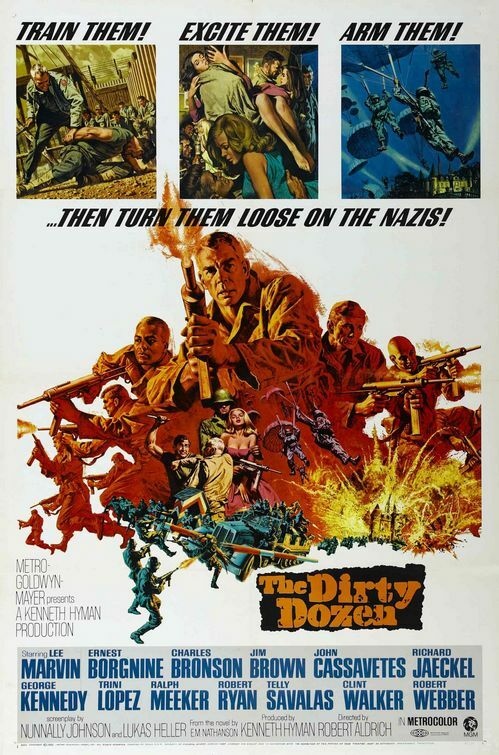 My one regret about The Dirty Dozen, which reunites Marvin with Borgnine and Ryan, is that the latter two aren’t on the team – instead, they play a bureaucrat and an officious rival, respectively. As Colonel Breed, Ryan definitely gets saddled with the most thankless role (well, second to those Nazi creeps, anyway). He’s the Walter Peck. More accurately, if you’ve seen Stripes, he’s the John Larroquette. He’s still on our side, technically, but he’s a total prick. 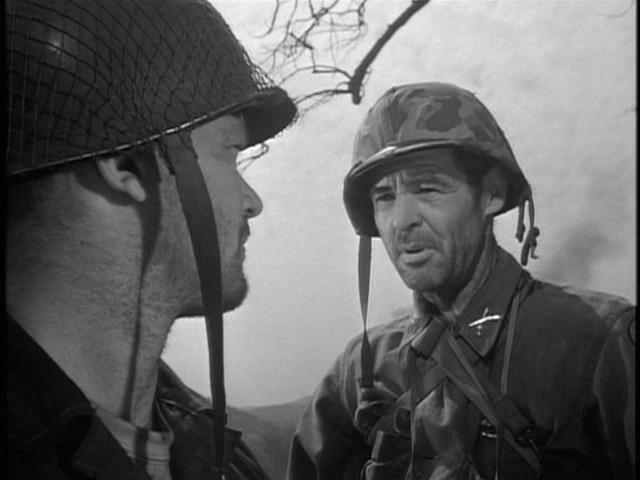 Not the best movie to be a fan of Robert Ryan in, but otherwise, The Dirty Dozen is an action-movie essential. 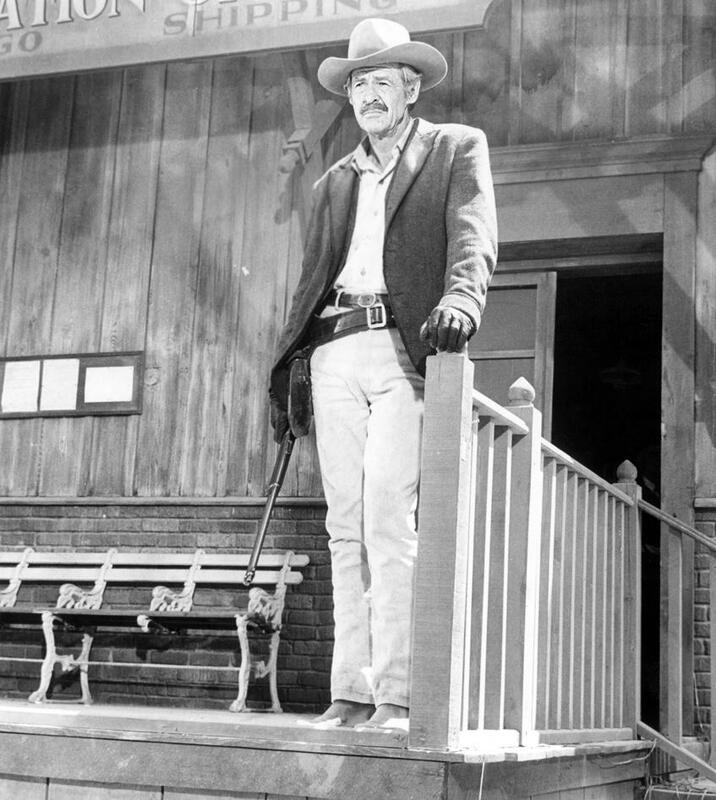 The Wild Bunch is one of the greatest American films, without hesitation. 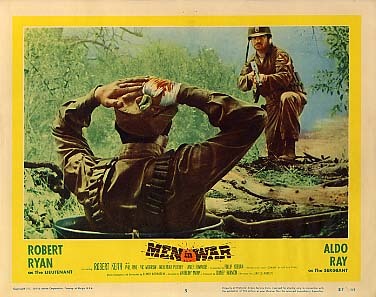 It’s arguably rebel-director Sam Peckinpah’s masterpiece. It’s one of those classics that doesn’t feel like homework; it feels like a still-living document. It feels dynamic, alive. If it’s that, though, it’s more like the flare-ups of a dying bonfire. It’s the last mission to end all last missions. It’s one of the best-ever examples of possibly my favorite genre of film, the badass-old-guy movie. 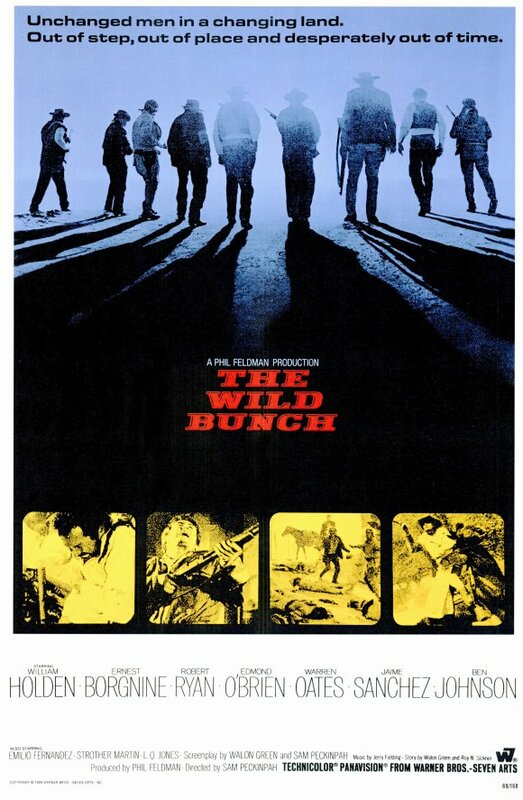 The Wild Bunch captures a group of movie actors at a moment closer to the ends of their careers than the start. (Except for Ernest Borgnine, of course, who’s still a fully active badass at 93 years of age.) This movie is notorious for setting new levels of onscreen bloodshed and gore, but that reputation obscures its true legacy as a melancholy recording of the twilight years of the Western. 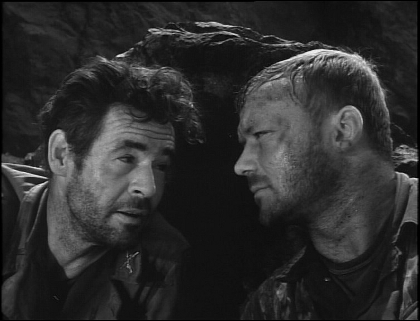 The Wild Bunch was one of Robert Ryan’s last screen performances. At this point in his career, he was 60 years old, but looked significantly older (perhaps due to the lung cancer that eventually claimed his life in 1973, a year after his wife died of the same disease.) The life lived shows in every moment of the performance. Thornton is a neutered pit bull on a leash, forced to track down his old partners by a venal corporate monolith. If he were free to roam, would he join back up with Pike and the others? What would be the point? Those guys are pretty clearly doomed, one way or another. There at the dusty, wind-swept border, at the end of a violent life whose most hard-lived days are well in the past, what is the point of going on? And if you do, then which direction do you go? Nobody says anything remotely like this in the movie, by the way – it’s all there on Robert Ryan’s face, all of the above and much more. His face was his character, and he knew how to wield it like a mighty instrument. You can watch and re-watch The Wild Bunch for many great reasons, but I find myself watching it more often than not for Robert Ryan. So there’s a start; some enthusiastic recommendations to get acquainted with one of the great film careers. You can go further, or choose different movies, but whichever way you choose, you won’t go wrong.